Revealed during the Paris Motor Show, the new 2018 Renault Alaskan returns with even more sophistication. The automaker says that the new one-ton pickup features enhanced comfort, exceptional driving dynamics, and a boatload of advanced technologies. In terms of the feature set and capability, it perhaps appears like the new Alaskan has followed an almost similar footprint as that of the Kadjar. As such, the buyers should expect it to feature a massive Renault diamond badge on the rather-circular front end. 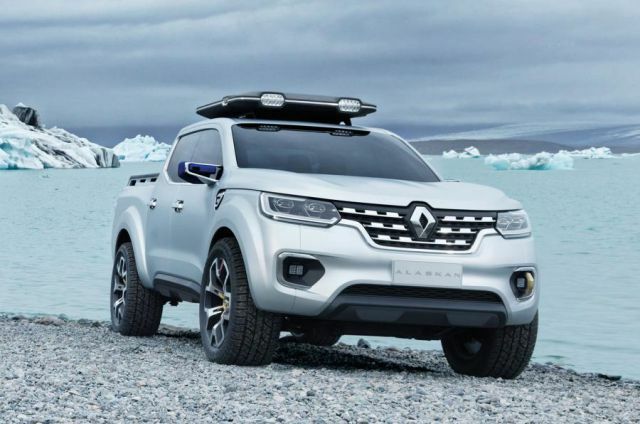 The new Renault Alaskan has been designed to take on other segment’s bigwigs such as the Nissan Navara, Volkswagen Amarok, and Mitsubishi L200. 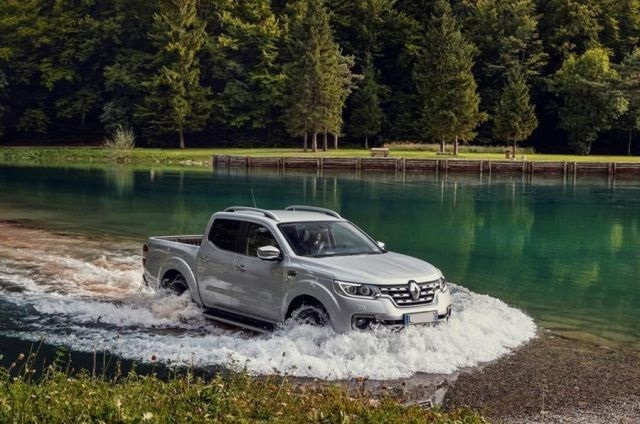 And to do this, the Renault has ingeniously designed it to offer outstanding off-road capability as well as impressive power. Moreover, there is a wide range of accessories, conversions and services that are offered to cater for each customer’s diverse needs. For 2018, the new Alaskan takes the off-road capability a notch higher. And just to sample the features offered, buyers should expect two drive modes, an electronically limited slip differential, vehicle control aids, a rear-locking differential, and an anti-lock braking system. The exterior of the new 2018 Renault Alaskan fits perfectly with the demands of the segment’s buyers. 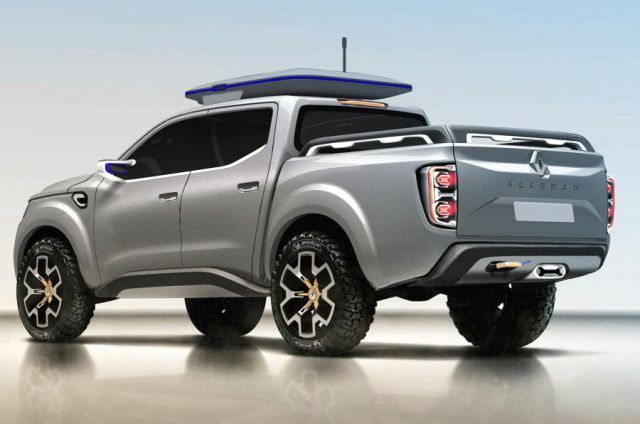 It has a sophisticated yet modern, pleasing aesthetics thanks to the vehicle’s contemporary lines that integrate well with the pickup’s design elements. In addition, it features a proud and prominent logo, muscular lines on the hood, a chrome riser bar, a gloss black trim, and the new large chrome grill. For lighting needs, it comes with full-LED lights that are integrated with daytime running lighting. As for the interior, the new model comes with an impressively equipped cabin. To begin with, it offers a spacious room for driver and passengers. The seats are comfortable and adjustable to reduce fatigue on long journeys. Moreover, the seats offer lumbar support, up to eight-way power adjustability, and are heated. When it comes to the equipment offered inside, the buyers should expect features such as smartphone-compatible audio system, a dual-zone climate control, a 5-inch TFT display, keyless entry system, and steering-wheel-mounted controls. Beneath the hood of the 2018 Renault Alaskan is powerful engines. 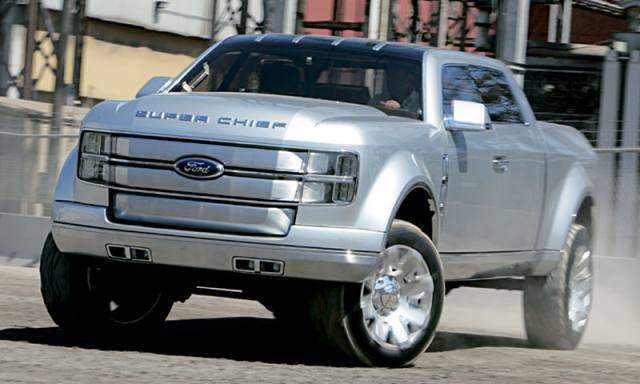 The first one is a 2.3-liter twin-turbo diesel capable of generating 158 hp and 187 horsepower depending on the version. This engine also scores incredibly well in terms of acceleration, C02 emissions, and fuel consumption. The second powertrain is a 2.5-liter petrol engine capable of generating 160 horsepower. And last but not the least is the 2.5-liter diesel engine. This engine is able to produce either 160 horsepower or 190 horsepower depending on markets. All these engines are then mated to either a 7-speed automatic transmission or a 6-speed manual gearbox. 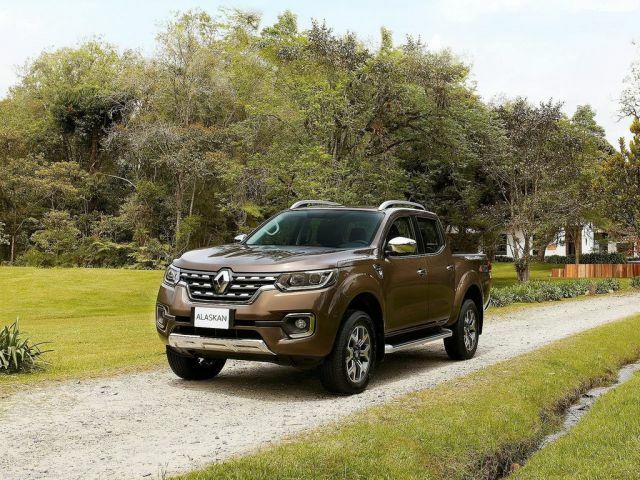 Again, a choice of either two or four-wheel drive is offered for buyers of the 2018 Renault Alaskan. 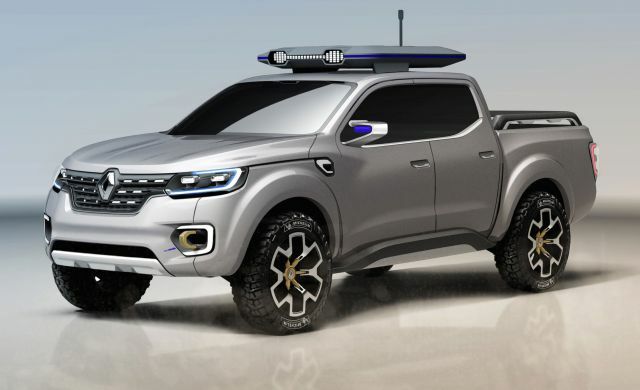 The 2018 Renault Alaskan price will be around $29,700. It’ll go for sale in the first half of 2018, at least for the UK and Colombia markets.